All species of bats are protected by UK and European Law. They are an EPS species. Additionally, as part of planning, the legislation requires planning officers to have regard to bats when deciding an application. 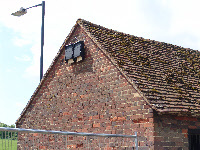 If the development is likely to affect bats a bat survey report will need to be submitted at the same time as the planning application is registered. The survey will be required to have taken place at an appropriate time of year and have been conducted by quallified licensed persons. Bat surveys consist of two parts, a forensic search of the structure for potential and evidence of bat use and a night time flight emergence survey. Full bat surveys can only take place between April and October, weather permitting, in any one year. The prefered time for survey is between May and September. 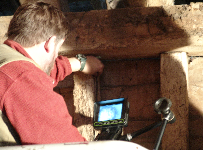 Forensic surveys can take place throughtout the year. Should bats be affected by the development then a mitigation/compensation scheme will need to be designed. Once planning has been granted an 'EPS' Licence issued by Natural England will be required prior to development. Bats also use trees as roosts. 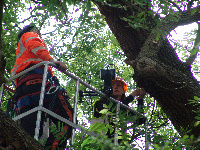 It is the responsibility of the owner and tree surgeon to ensure that bats will not be affected by tree surgery or felling prior to works.